SSOE Group is seeking a senior-level Instrumentation and Controls Engineer for our Midland office location. have consulting experience in process instrumentation, electrical control systems, and process automation. An ideal candidate will have possess leadership qualities, be able to provide technical assurance of drawing and specifications, as well as provide guidance to junior engineers. Engineering degree from an ABET accredited program is required. SSOE is seeking a Structural Revit Designer to reinforce our team of skilled multidiscipline designers and engineers. The ideal candidate is committed to producing high quality deliverables on varied projects for advanced technology clients. Our team produces exceptional solutions to complex problems through constant coordination and dedication to saving our clients time, trouble, and money. As an integral part of the SSOE structural team, you will begin by completing specific design assignments under the guidance of a senior designer or structural engineer. Additional responsibilities will be provided based on performance. SSOE is seeking a mid-senior level Structural Designer to reinforce our team of skilled multidisciplinary designers and engineers. The ideal candidate is committed to producing high-quality deliverables on varied projects for advanced technology clients. Our team produces exceptional solutions to complex problems through constant coordination and dedication to saving our clients time, trouble, and money. This structural engineer will be responsible for performing a variety of routine engineering assignments under the supervision of a licensed professional engineer with increasing responsibility based on performance. Will work on fast-paced, complex, industrial projects within the tool install high-tech industry. SSOE is seeking a talented Structural Engineer for our Hillsboro, OR office, The candidate must have a Professional Engineer license (PE) to help reinforce our team of skilled multidiscipline engineers and designers. The ideal candidate is committed to producing high quality deliverables varied projects for advanced technology clients. SSOE Group is seeking a Senior Instrumentation and Controls Engineer for our award-winning Hillsboro, OR office. The Instrumentation and Controls engineer will be responsible for evaluating, selecting, and applying standard engineering methods and techniques for the execution of work on small to larger projects. Candidates with a proven track record for project success and a desire to succeed will excel in this role. Are you a talented Electrical Designer looking for your next challenge? 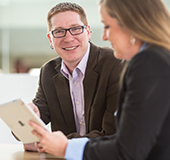 Join our Advanced Technology team, and work with some of the best and brightest in the industry. The Instrumentation and Controls Designer will interface directly with our Project Managers, and multi-discipline design team to provide design services for our clients in the High Tech industry. SSOE Group is seeking a talented Sr. Electrical Engineer for our award-winning Hillsboro office. The Sr. Electrical Engineer will be responsible for evaluating, selecting, and applying standard engineering methods and techniques for the execution of work on small to larger projects. The candidate must hold a Professional Engineer license, be drive, and find joy performing project engineering duties and responsibilities. 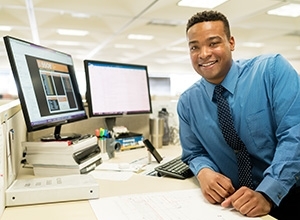 SSOE Group is seeking a talented Mechanical Engineer for our award-winning Hillsboro office. An ideal candidate will be a self-starter with clear and concise communication skills. The Mechanical Engineer will be responsible for detailed phases of engineering work on major projects or total engineering work on projects of smaller or moderate scope. SSOE is seeking a Structural Engineer to reinforce our team of skilled multidiscipline engineers and designers. The ideal candidate is committed to producing high quality deliverables varied projects for advanced technology clients. Our team produces exceptional solutions to complex problems through constant coordination and dedication to saving our clients time, trouble, and money. As an integral part of the SSOE structural engineering team, you will begin by completing specific engineering assignments under the guidance of a senior structural engineer. Additional responsibilities will be provided based on performance. SSOE’s Project Managers lead all aspects of the design projects, including schedule, cost, budget and scope. This role is leading our client projects that are within our client programs dedicated to chemical lab/offices. The size of our projects in these industries range in size, scope and complexity; no two projects are alike and each will bring its own unique challenge and solution. SSOE doesn’t stop when the project is completed, using our Lessons Learned process to continually improve. After each of our projects, our project teams take a look back at what was good and what can we learn from on each project, to ensure we are always providing the client with the best possible experience. Using 70 years’ experience is how SSOE has arrived at our current project processes, procedures and best practices for excellent total project delivery. SSOE’s Project Managers lead and support projects that range from advanced technology, automotive facilities, healthcare to energy, chemical, food and telecommunication, The size of our projects in these industries range in size, scope and complexity; no two projects are alike and each will bring its own unique challenge and solution. Our senior level PMs are required to have a PMP, because we are dedicated to the PMP principles and practices. Our seasoned project teams use a collaborative series of tools to achieve total project delivery specific to the project’s scope and client goals, including systematic reporting, QC and lessons learned. Electrical Engineer with consulting design experience in electrical power, lighting, and grounding systems for healthcare, education, commercial, and retail buildings. Applicant will act as electrical team leader on selected projects, complete designs using design software, direct designers, AutoCAD operators, and act as support on other projects. Position will report directly to department manager. Must have good communications skills and some working knowledge of project design, construction, design software, cost, and scheduling. The Electrical Designer will be responsible for performing routine tasks using a computer for drafting and design. 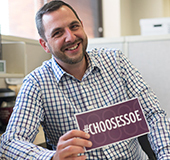 A BIM / CAD Technical Specialist at SSOE has entrepreneurial spirit and constantly seeks out new opportunities for creativity and innovation. 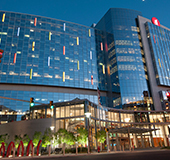 They work in a multidisciplinary team environment and are able to prioritize and execute BIM activities with a core focus on efficiency and collaboration. The successful candidate confidently explains BIM principals, particularly using Civil 3D applications, to all levels of design and construction professionals. Our trusted specialists advise project managers and design teams on best approaches and techniques to achieve project goals. 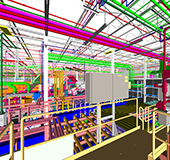 SSOE is seeking an Electrical Designer for our Tool Install program. This position will be primarily located on a local client’s site. In this role, the designer will be responsible for applying standard design techniques and procedures within AutoCAD 2D to design wireways, cable trays, storage boxes, and conduit. Explore the benefits that go hand-in-hand with a Junior Electrical Engineer position at SSOE Group. Collaboration, accountability, and top-notch training are building blocks we use to set you up for success. The Electrical Engineer will be responsible for evaluating, selecting, and applying standard engineering methods and techniques on work of small projects or on portions of larger projects. SSOE’s is looking for a Assistant Project Manager to support projects that are within programs dedicated to chemical lab/offices. The size of our projects in these industries range in size, scope and complexity, no two projects are alike and each will bring its own unique challenge and solution. Explore the benefits that go hand-in-hand with an engineering role at SSOE Group. Collaboration, accountability, and top-notch training are building blocks we use to set you up for success. We are seeking a Life Safety and Security Engineer who has industry experience and graduated from an ABET-accredited engineering program for our Advanced Technology design team. The Life Safety and Security Engineer will interface directly with our project managers and multidisciplinary design team to provide design services for our clients in the high-tech industry. SSOE is seeking an Electrical Engineer for our Tool Install program. The electrical engineer will perform a variety of routine engineering tasks requiring basic application of engineering fundamentals with increasing responsibility based on performance. SSOE is looking for a Project Controller that can provide accurate conceptual budgets and construction estimates, sometimes with limited or incomplete information, from quantity takeoffs, field investigations, and construction knowledge. The ideal candidate would possess good understanding of local and project cost factors to apply to a cost estimate. Ability to interface with engineers and contractors to gather and decipher needed information. Ability to analyze contractor bids and assist in bid reviews with contractors, and ability to effectively communicate expectations.